The Machine performed the music of Pink Floyd as part of the Aug. 28 "Tuesday in the Park" concert at Artpark (Lewiston). Watch video highlights below, and check out our interview with frontman Joe Pascarell at the bottom of the page. "I know that tribute bands have a stigma. Most of them aren't very good," Pascarell said. "But, I think we're a good band. And we play this music pretty honestly. And I like to think that people get that when we play." Over the course of a quarter-century, Pascarell and co. have spent time and money to make sure Pink Floyd fans watching The Machine have a concert experience that is both unforgettable and meaningful. "It's one thing to play the notes of the music and sing the words and the lyrics and the melodies. But Pink Floyd is about the emotion of it, you know? At least it is to me," Pascarell said. The Chicago musician grew up going to see Pink Floyd and listening to the band's records. To him, the visual was inseparable from the audio. "When I thought of Pink Floyd music, I just didn't think of the music. I thought of the whole thing. When I used to go see them ... you were not only bathed in this music, but it was an assault visually, too. The lighting and the video and everything that was going on. It seemed more than just about playing the music. There's more to it." When The Machine headlines the Aug. 28 "Tuesday in the Park" concert at Artpark, Pink Floyd fans will be transported back to the '70s, to a time when the British alt-rock band transformed the concept of "live show." 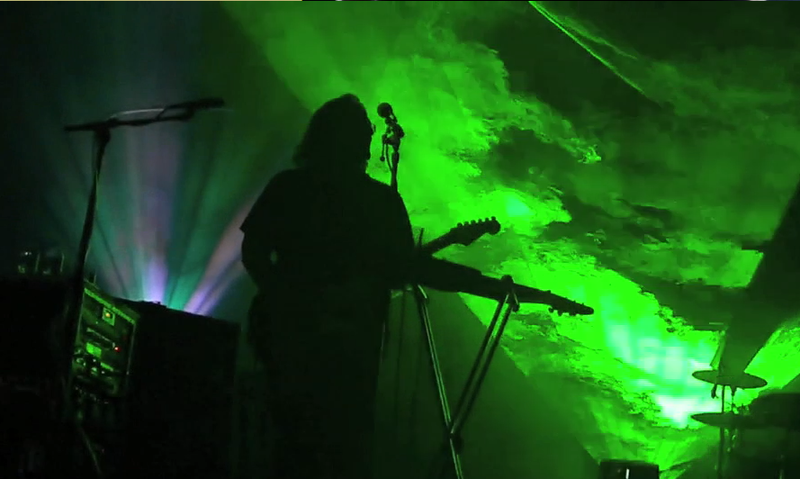 Pascarell and his band perform Pink Floyd songs against a stunning backdrop of multicolored lasers and dramatic videos. "Pink Floyd was one of the first bands that really did that," he said. "Before them, most bands just got on stage and played. It was not a big deal. But they really took that to another level. They were like a multi-media experience before that word even existed. "From the beginning, it just seemed like that was part of what Pink Floyd was all about." Naturally, then, if The Machine was to suitably pay tribute to Pink Floyd, "We always felt like if we could do that, let's do that, too, because it will just add to the enjoyment of the music," Pascarell said. "We could go out there and just play the music, and we'd be playing the music the same way, but I think it adds a lot, with the lasers and the lighting and the video. "To me, you can't separate that from their music." 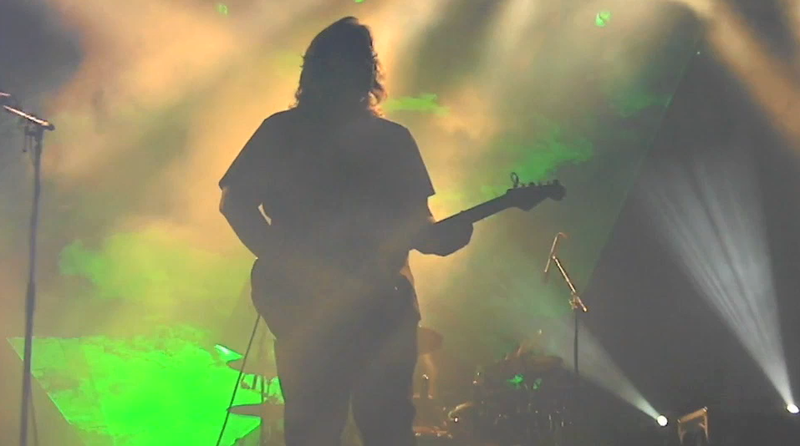 For the group's efforts, The Machine has become known as the premier Pink Floyd tribute band. "I feel like, because we've been a band for so long - and we've been playing this music for so long - we really own it. And I think we're able to capture what it feels like to listen to Pink Floyd, and hear that music," Pascarell said. "Since I was a little kid, that was a special thing to me - that music and listening to it. I remember putting my headphones on and shutting the lights off and just listening to the whole album. Constantly. "It's moving, deep music. And I like to think that we're able to create some of that live. And seeing live music in the moment is totally different than listening to recorded music. To me, it's a different experience. I like to think we're able to do that - to create that feeling." Though this is The Machine's fourth consecutive "Tuesday in the Park" show, Pascarell said this concert will feel different than past performances. "When you're experiencing music live, it's always a new thing," he said. "That's why I've been able to do it for 20-something years. Even though I've played 'Wish You Were Here' 2,000 times, when I'm playing at Artpark, that's the first time I'm doing it that night, you know, to those people. I think that's what you do as a musician. You have to experience it like it's the first time it's happening. That's how other people get to experience it, too. So we have to try to do that as a band." Sadly, it's likely this will be the last time Pascarell performs the music of Pink Floyd in Lewiston. He is leaving The Machine at the end of this year. "I'm going to leave performing on stage," he said. "I'll always make music, because I'm a musician. And I have a studio in my house and I'll always create music; I'll always play the guitar. As far as traveling around the world and touring, and getting on stage and playing, I think. ... I turned 50 last year, and it just sort of shifted my perspective. I have other interests in my life, you know, besides music. Music is one thing that I love to do, but I have other interests." Those fortunate enough to speak with Pascarell, or watch him perform with The Machine, know how much he loves Pink Floyd - and that he'd never do anything to dishonor the band, its music, or, most importantly, its fans. "I still love what I do. I appreciate it so much," he said. "I love it. I love doing it. But I think you should leave something when you still like it. I don't want it to get to the point where, 'Oh, man, now I'm 58 years old, and I can't do anything else, and I'm stuck doing this.' I don't ever want to walk on stage with that attitude." "I feel so lucky that I've been able to do this," Pascarell said. "But I think this is the time to do it. And I've got to tell you, it's a very hard decision. It's not an easy thing to leave, because it's what I always wanted to do - since I was a little kid - and I'm doing it." If music lovers are lucky, more musicians will grow up to do what Pascarell has done. And they'll leave the sequined suit at home. The Machine is online at http://www.themachinelive.com/.